The Standard Chartered Dubai Marathon returns for its 20th edition on Friday (January 25), with strong fields announced and a live stream available for fans to follow the action. In the men’s race, Ethiopia’s Guye Adola, who clocked the fastest ever marathon debut with 2:03:46 in Berlin in 2017, will be joined by his compatriots Asefa Mengstu (2:04:06 PB), who finished fourth in Dubai one year ago, and 2015 winner Lemy Berhanu (2:04:33 PB). He will make his third start at the marathon distance in Dubai after withdrawing from last year’s Frankfurt Marathon due to illness. Also lining up will be Switzerland’s Tadesse Abraham, who is set to attack the European marathon record of 2:05:11 run by Britain’s Mo Farah in Chicago last year. Abraham will need to take almost a minute and a half off his PB to achieve the feat, having run a best of 2:06:40 at the 2016 Seoul Marathon, but the 2016 European Half Marathon Championships winner is focused on giving it his best at the IAAF Gold Label event. 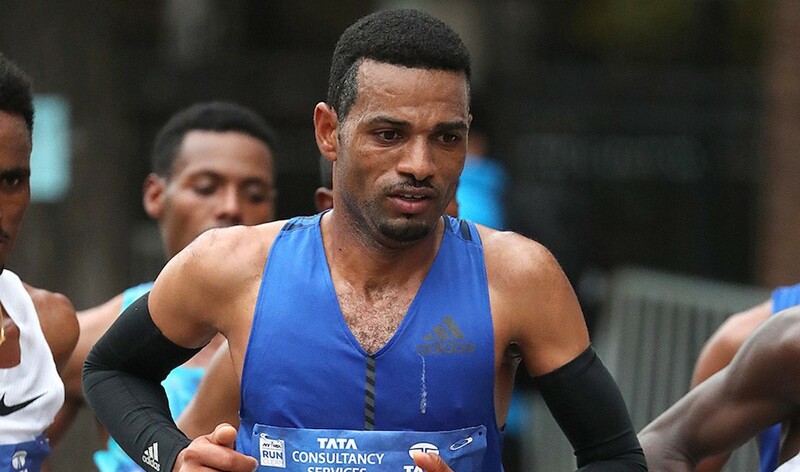 Ethiopia’s 2011 world 10,000m champion Ibrahim Jeilan will be looking to complete his first marathon after dropping out during his debut in London in 2014, while his compatriot Getaneh Molla will be tackling the distance for the first time. In the women’s field, Kenya’s Ruth Chepngetich – a two-time winner at the Istanbul Marathon – boasts the fastest personal best time of 2:18:35 but will face a strong challenge from former Dubai winner Worknesh Degefa of Ethiopia (2:19:53 PB) and fellow Kenyan Sharon Cherop (2:22:28 PB). Ethiopia’s Tigist Assefa – a former middle-distance specialist with an 800m PB of 1:59.24 – will be making her marathon debut. A competitive race is also expected in the men’s wheelchair event with Switzerland’s defending champion Marcel Hug up against a strong field of Japanese athletes including Hiroyuki Yamamoto and Hiroki Nishida. “Last year saw new course records in both the men and women’s races, while we had seven men finish in sub-2:05 and four women in sub-2:20. Those were both unique results in marathon history and emphasised the depth of quality in the fields we put together in Dubai. The race will be available to watch worldwide as a live stream with no geo-blocking or rights restrictions. The three-hour world feed will get under way in time for the start of the elite marathon at 6am (2am UK time) on Friday, with commentary from women’s marathon world record-holder Paula Radcliffe and international author and award-winning athletics correspondent Pat Butcher.